The pilot program hasn't drawn much attention from law enforcement. Police haven't reported any major issues with people selling or using medical marijuana without certification, meanwhile many patients have praised cannabis for helping them get off stronger prescription drugs. A suburban woman wants answers after she was denied a FOID card because of her use of medical marijuana. NBC 5's Regina Waldroup spoke with her. Several measures in recent years have led to an expansion of the state's program, which currently benefits about 58,000 patients. But it's still relatively small compared to similar programs in other states, particularly because it doesn't allow patients to use the drug for pain. Morgan's bill would add chronic pain to the list of qualifying conditions, as well as autism, migraines, osteoarthritis, irritable bowel syndrome and several others. 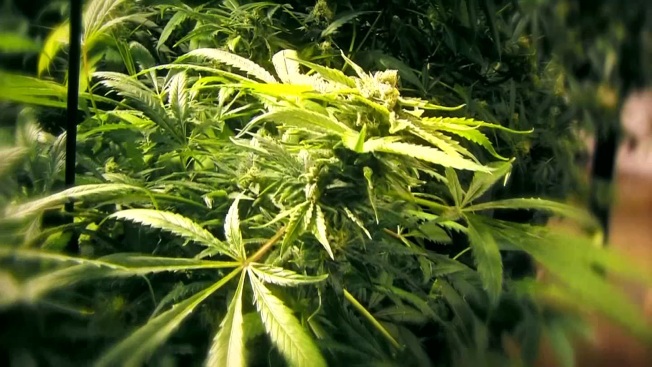 The measure would also allow doctors to be paid by medical marijuana businesses or patients. Doctors would still be prohibited from receiving kickbacks for referrals, but they could be paid for research, Morgan said. Existing research on the effects of marijuana on autism is limited. But cannabis has been found beneficial for many of the conditions accompanying autism, such as epilepsy, pain, aggression and anxiety, said Wendy Fournier, president of the National Association of Autism. "There aren't any good alternatives, so if this is working for some people, go for it, let's do it," she said. "This is a potentially life-changing treatment for some people." The American Academy of Pediatrics opposes medical marijuana, saying it can harm memory, learning and coordination, as well as cause psychological issues or drug dependence. But the association has also called for more research and supports "compassionate use" of medical cannabis for children with debilitating diseases. The proposal will also make state provisions for veterans to qualify for medical marijuana as an alternative to opioids. Since the drug is still prohibited under federal law, Veterans Affairs doctors can't certify their patients. Morgan said he hasn't seen significant opposition to the proposal. He anticipates lawmakers will approve the measure this spring.